Google is today changing how it prices its storage plans with a new $2.99/month tier for 200GB of storage being added to the mix. Alongside this, the existing 2TB plan will be reduced from $19.99/month to $9.99/month. This move will see the removal of the existing 1TB plan altogether which was previously priced at the same $9.99/month. 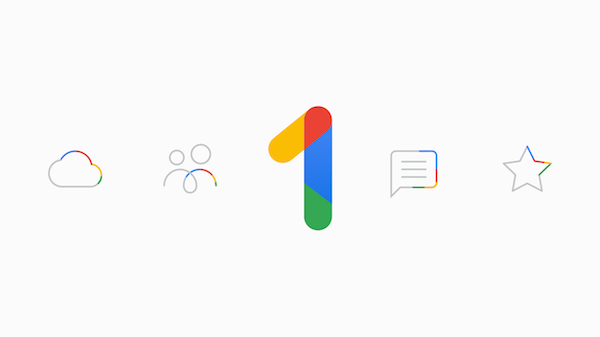 The whole storage plan system will also be rebranded to Google One, although Google Drive itself will retain its name. Users will also be able to share their storage quota with up to give family members following today’s changes. The move to more affordable storage plans is an important one with smartphones now recording 4K video as a matter of course. Uploading such video, and indeed high resolution photos to any online storage can be a costly business. Storage is soon sued up when high resolution media is involved and making it easier for users to ensure everything is save in the cloud is a great move by Google, but that is not all that the new Google One is about. With Google One, users will also be able to get one-tap access to Google Experts who will provide help with any Google product or service. Importantly, this will be a case of suers being routed to real live human beings rather than an AI bot and it is available on all new Google One plan including the $1.99/month plan. In the US at least these experts will be available 24/7 with access via email, chat and even telephone if required. This is similar support to that already offered to paying G Suite customers, but available to anyone who has a Google One account. Don’t need all the data available with a Google One account, nor that free support? No problem – the existing (free) 15GB storage plan is still available should you be able to live with it. Google isn’t the only one rejigging its storage plans. Apple did a similar thing with its 2TB iCloud plans last year, too, and introduced Family Sharing in the process as part of iOS 11 announcement back in June 2017.
iOS 11.4 Beta 5 Release Notes And Changes: What’s New In This Release? Will jump in as soon as 20Tb is below 50$.